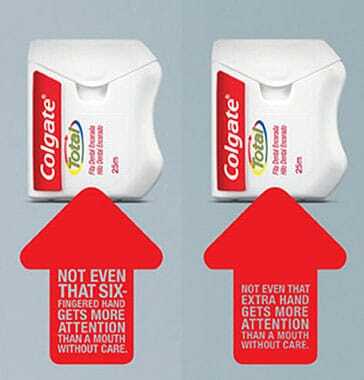 The other day, I came across these Colgate ads . . . If you were like me, you may have been blinded and unaware of the six-fingered hand or the extra hand in the ads until the third photo. These advertisements remind me that we can also be “spiritually” unaware or blinded. Spiritual Blindness is the inability of a person to perceive, understand, grasp or comprehend spiritual truth or the working of the Holy Spirit. Jesus, repeatedly encountered the spiritual blindness of His disciples, the crowds and the Pharisees. (Matthew 15:16-17; Mark 8:17,18,21; Matthew 23:16,17,24,26; John 9:39-41) The prophetic proclamation of Isaiah 6:9, “ever hearing, but never understanding; ever seeing, but never perceiving” seems to be a popular topic in the Bible as it is quoted in each of the Gospels (Matt 13:14–15; Mark 4:10–12; Luke 8:10; John 12:39–41) and twice by Paul (Acts 28:26–27; Rom 11:8). 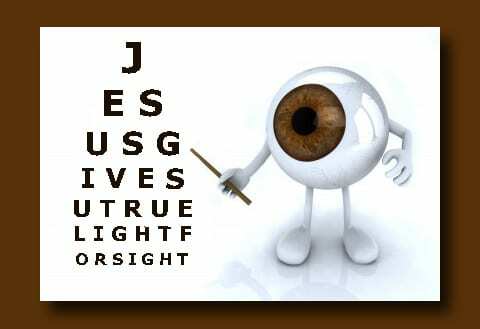 Although we may get a little exasperated, when by law, we have to have our vision checked by the ophthalmologist every two years in order to buy contacts, it may be a good idea to have our “spiritual” eyes checked on a regular basis! With this in mind, I developed a little Spiritual EYE-Q Test. Check it out! Circle YES or NO for the following Questions. 1. When you or someone you know is going through a trial, do you assume it is God’s judgment because you or they have done something wrong? 2. Do you find yourself doubting God will provide for your future even though he has provided for you in the past? 3. Are you growing in faith, knowledge, self-control, perseverance and love? 4. Is there anyone you hate? 5. Are you legalistic but lacking in justice, mercy or faith? 6. Do you have only an outward appearance of righteousness? 8. Are you lukewarm in your relationship with Jesus Christ? 9. Do you often judge others? 10. Would you or others describe you as rebellious? 11. Are you calloused to the things of God? 12. Are you Insatiable, greedy or self-indulgent? 13. Do you consider yourself to be an unbeliever? Tally up how many YES answers you circled. *Note: Jesus reserved his severest rebukes for religious leaders that should have known better.